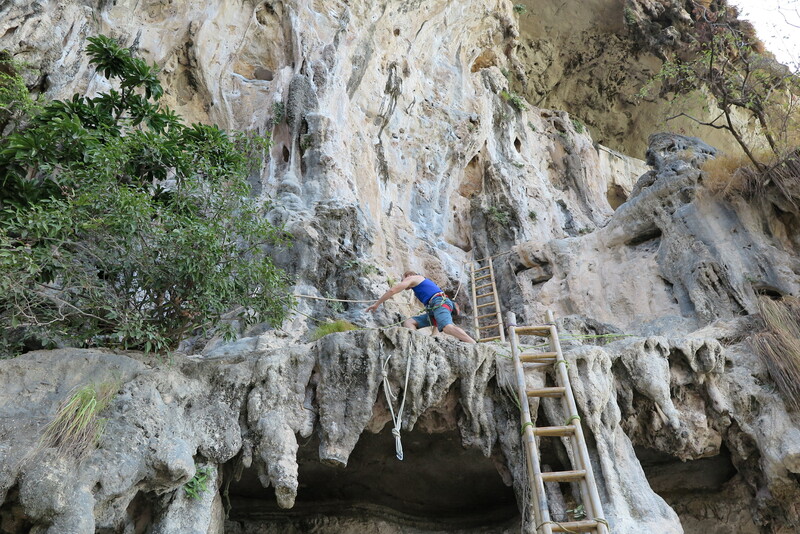 By this time the sun was starting to hit the wall so we headed over to Railay to eat lunch and do one more climb on 1-2-3 Wall. Mostafa put up We Sad 6a+ then I climbed it on top rope. 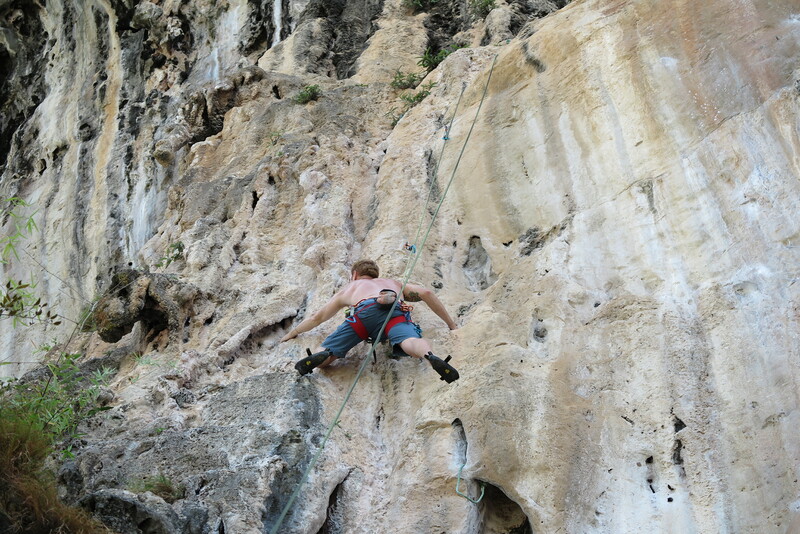 Needed another very aggressive spot to get up on the stalactite. It looks like I’m running but I’m not. Getting started on Cowabungalow 6b. We Sad 6a+ that I climbed this on toprope. What’s up with all the hard starting climbs today??? 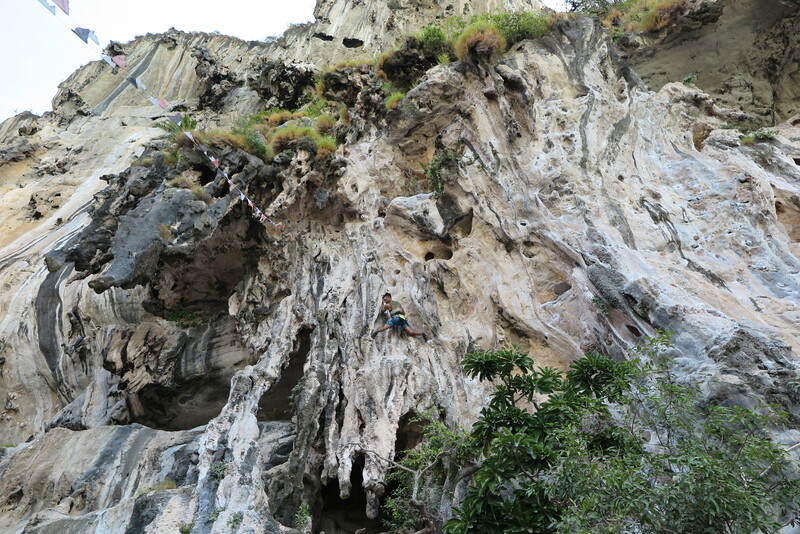 This entry was posted in climbing on February 28, 2015 by kph76.